PARIS -- Valeo said 2018 profit fell in a "challenging year" marked by emissions-test bottlenecks that hit European car production and a slowdown in China. But the maker of vehicle lighting, self-driving, electrification and fuel-saving systems said 2019 sales will outperform auto production by a wider margin, citing contracts with clients including Volkswagen and Toyota. The past year was "characterized by a particularly volatile economic and geopolitical environment," CEO Jacques Aschenbroich said. Valeo has invested heavily to benefit from ever-tightening emissions regulations and increasing vehicle automation, through a push into electrified cars, sensors and camera systems. While waiting for that strategy to pay off, however, the company has been buffeted by an auto-market slowdown and European car production hitches that last year prompted it to issue two profit warnings in three months. The new Worldwide harmonized Light Vehicle Test (WLTP) became mandatory in Europe last September, forcing Valeo customers including VW and Renault to halt deliveries of some models for months pending re-certification. Valeo's 2018 order intake fell 15 percent to 28.6 billion euros including its electric-car parts venture with Siemens -- still 1.7 times its total sales to automakers - while net debt increased 22 percent to 2.25 billion euros as of Dec. 31. Operating profit fell 26 percent to 1.09 billion euros ($1.24 billion), paring Valeo's operating margin to 5.7 percent of sales from 7.9 percent a year earlier. Net income dropped 38 percent to 546 million euros even as revenue increased 4 percent to 19.26 billion euros, helped by a series of recent acquisitions. Global auto production fell an estimated 1 percent last year, Valeo said in a statement on Thursday. Valeo said its sales performance would pick up gradually throughout 2019 thanks to new supply contracts for cameras, lighting and electrified transmissions. Earnings before interest, tax, depreciation and amortisation (EBITDA) will also show growth, it said, predicting a 5.8 percent to 6.5 percent operating margin for the year. 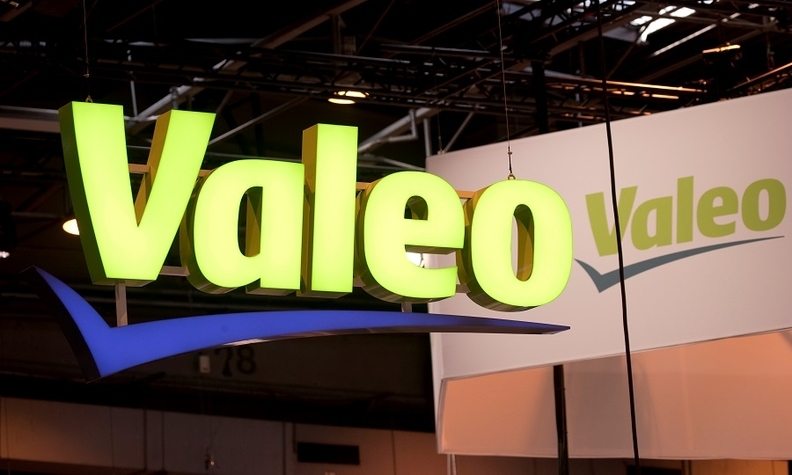 Valeo announced a proposed dividend of 1.25 euros, unchanged from its 2018 payout. The company also said it will revise mid-term goals to reflect 2018 market and raw-material price trends as well as projections for this year.